Ventana Big Sur, an Alila Resort, is an iconic resort ensconced in the heart of the California Central Coast’s rugged landscape, perched at the edge of the continent overlooking the majestic Pacific coastline. 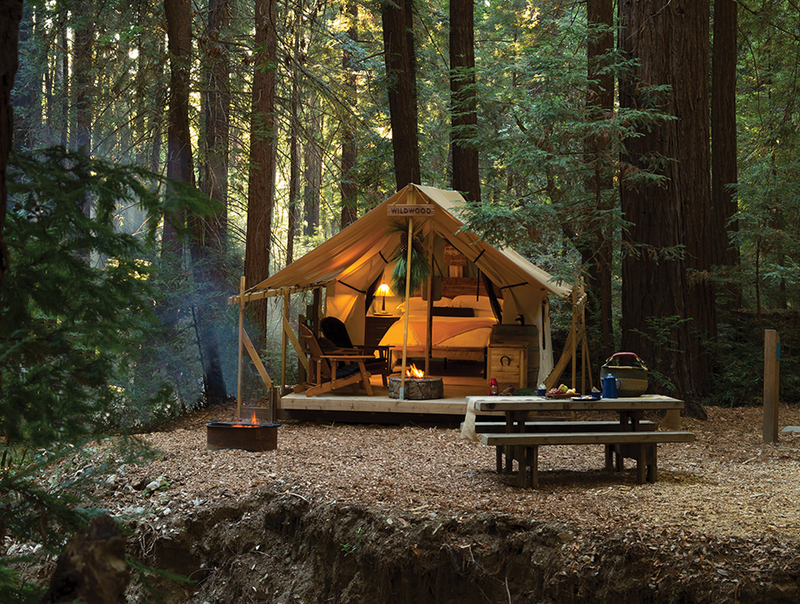 The glamping program in Ventana’s ancient forest offers a rustic-luxury twist on traditional camping. Fifteen safari-style, canvas tents spanning a 20-acre canyon each feature inspired cabin-style décor, a custom-designed plush glamping mattress with luxury hotel linens, hot and cold running water, natural-fiber rugs, a picnic table, dinnerware and separate propane- and wood-burning fire pits with firewood. 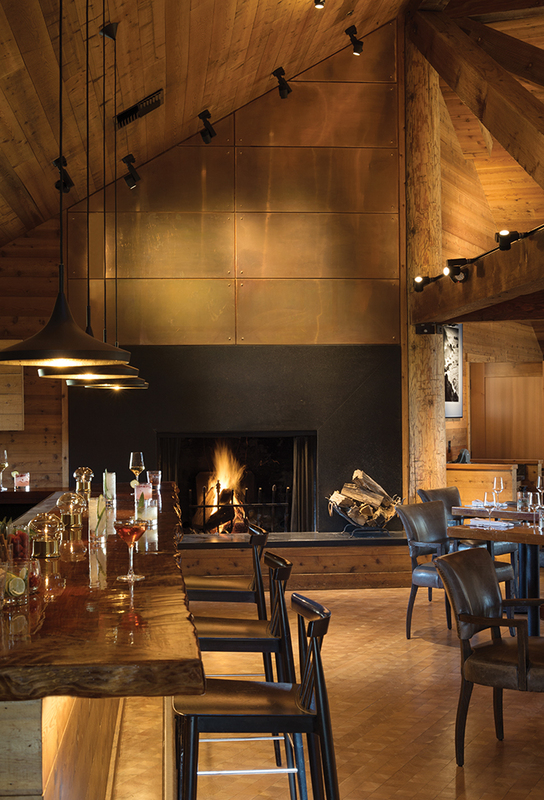 All furniture is designed by on-staff craftsmen utilizing reclaimed redwood from the property, and Glampers experience the splendor of the outdoors while still relishing all the amenities and services of a world-class resort. For those who don’t want to become one with nature, 59 spacious guest rooms, suites and villas offer refreshing sanctuaries, tucked away among the resort’s meadows and redwoods. Each room features a private balcony or patio with mountain or ocean views. Luxury soaking tubs and cozy fireplaces offer a sacred space for inspiration and introspection, while accessories such as walking sticks, binoculars and lanterns encourage guests to discover the great outdoors. The Social House, situated at the heart of the resort, is an enclave designed to foster connection and socializing from the moment guests arrive. Amenities include an experience coordinator available to arrange activities, an outdoor patio and lounge featuring a fire pit and redwood stump tables, as well as three inspired lifestyle spaces: Library and music room; game room; and bar room. This luxury resort experience invites guests to discover, inspire and create in an unspoiled verdant landscape that evokes the unbridled spirit of Big Sur. Ventana Big Sur is located in Big Sur, California. To learn more visit ventanabigsur.com. Photos courtesy of Alila Hotels & Resorts.